Taapsee Pannu has gained a lot of popularity due to her work and performance in films. 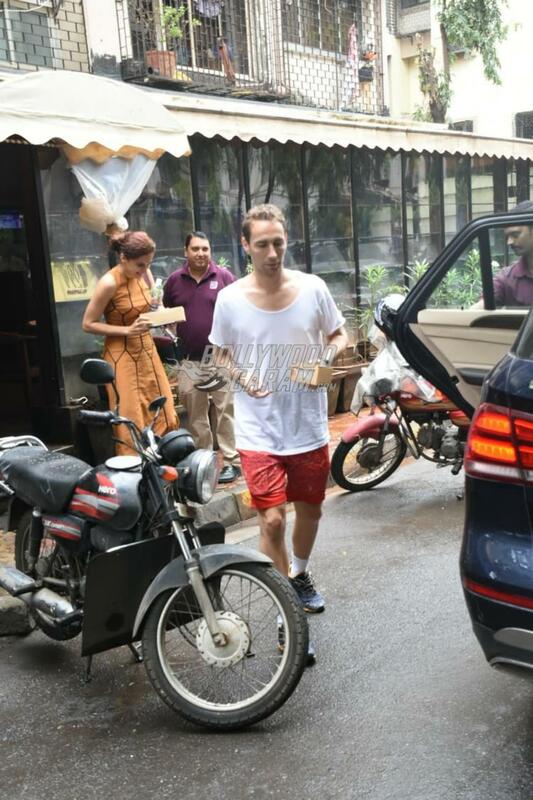 The actress was snapped with her beau Mathias Boe in Mumbai on August 9, 2018. Taapsee and Mathias have been in a relationship since the past four years and were clicked together by the paparazzi while on a lunch date. The Pink actress has never talked about her relationship in open but has not denied about the relationship either. Mathias is a Danish badminton player and Olympic silver medalist. Both are often clicked together during their casual outings. Taapsee in a recent interview said that she is extremely proud of her relationship status and is happy with the person she is with. The actress was seen in a brown outfit with black linings with her hair tied in a bun and completed her look with strappy heels. Mathias was seen in a casual white t-shirt and red shorts with blue sneakers. Taapsee was all smiles as she was clicked by the paparazzi on the streets of Mumbai. Earlier in 2018, there were a few break up rumours that started making the rounds but later a leading daily reported that all was well between the two. On the work front, Taapsee will be seen in the upcoming film Manmarziyaan which also stars Abhishek Bachchan and Vicky Kaushal.